The Contour 15.6" Laptop Skyrunner Bag from Kensington offers unique, ergonomic comfort without sacrificing the robust padding needed to give you superb laptop protection. 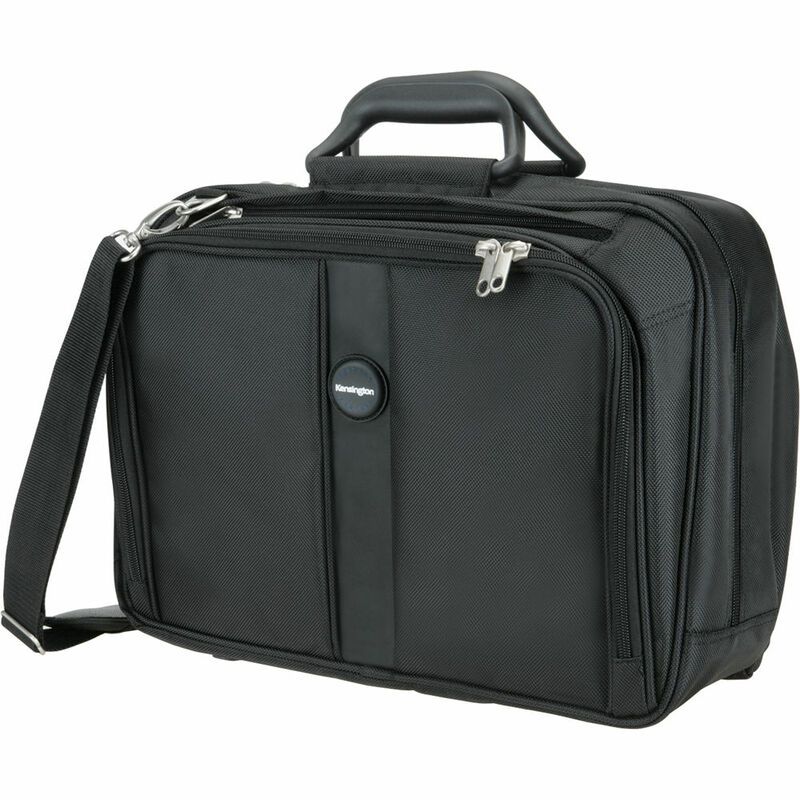 Its exclusive ergonomic design features a body-hugging contour panel that helps reduce the effective weight of the case and its contents by 35%, making this comfortable carrier the singular choice to properly protect your belongings. Body-hugging contour panel helps reduce shoulder and neck muscle fatigue by 35%. Ergonomically-designed handles help distribute force evenly across all your fingers, making it far easier to carry. Its rigid, nesting handles come together as one -- and stay together regardless of how much the bag is filled. Innovative, shock-absorbing shoulder strap is contoured for a tight, comfortable fit, and features a special material that keeps it snugly in place. SnugFit Laptop Protection compartment snugly envelops your laptop, regardless of size, with a thick layer of protective padding, keeping your laptop safe and secure. Outer case is made from 1680 Denier Ballistic Nylon, offering military-grade protection against abrasions, punctures, and tears. Unique layout of front pockets allows for easy organization and access to your belongings. Secure rear compartment behind Contour Panel keeps peripherals from poking you. Box Dimensions (LxWxH) 17.3 x 13.7 x 6.5"